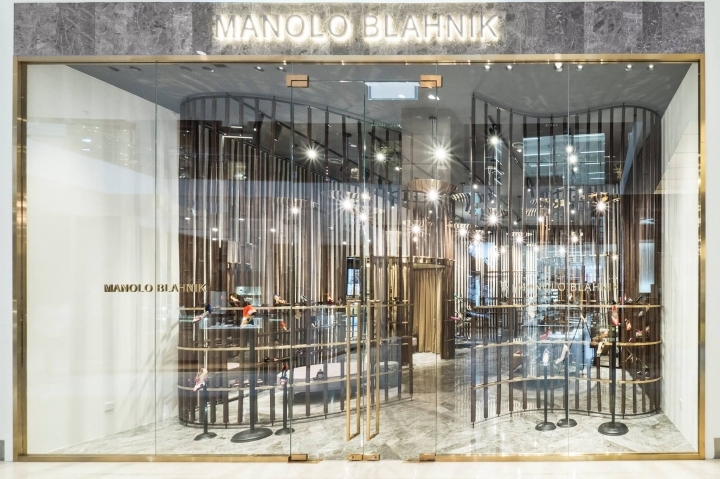 Luxury shoe retailer Manolo Blahnik has continued its expansion plans in Asia with the opening of a store in Kuala Lumpur. 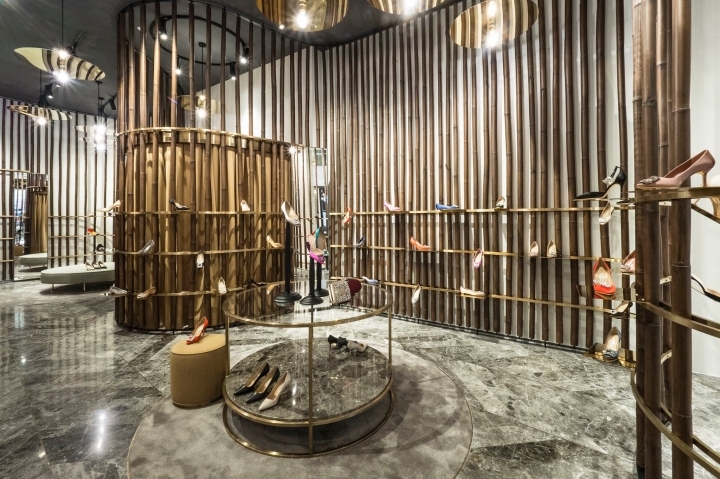 Designed in collaboration with architect Nick Leith-Smith, the store occupies a 100 sq m space on level two of the Pavilion Mall in the vibrant Bukit Bintang district. Transforming a traditional material used in furniture making and artisan scaffolding, Leith-Smith used a forest of bamboo as the central motif for the space. 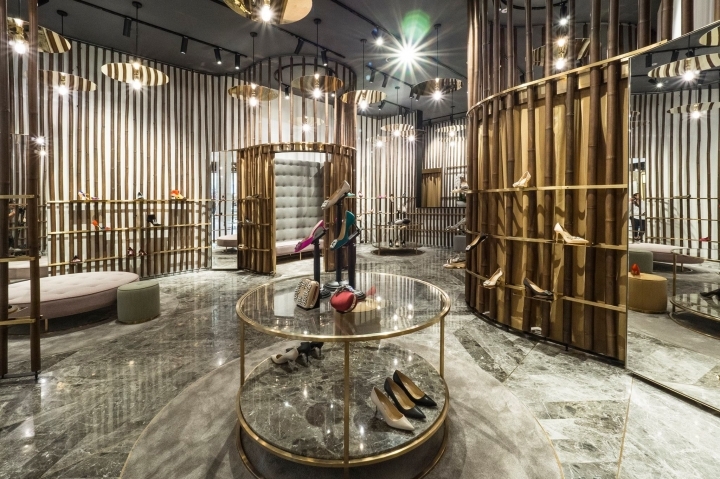 Elegantly positioned in parallel, conforming to the plant's natural growing pattern, the shoes are arranged in flowing lines, almost floating, picked out on individual brass shelves that follow the dark stained bamboo structure, snaking around the space in graceful curves. 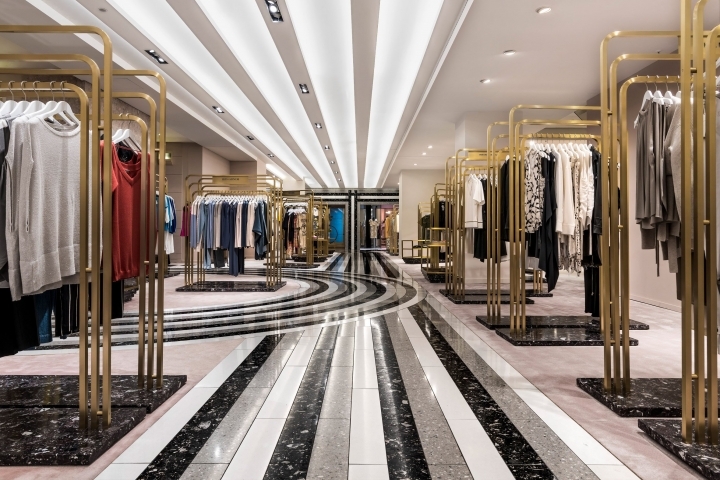 Brass pendants are suspended from high ceilings, while herringbone pattern marble flooring has been in-laid with brass detailing, drawing inspiration from palm leaves mirrored in the canopy-like lighting above. Natural woven fabric in muted tropical colours is used for round ottomans and stools, and accentuates contrasting metallic and stone finishes. 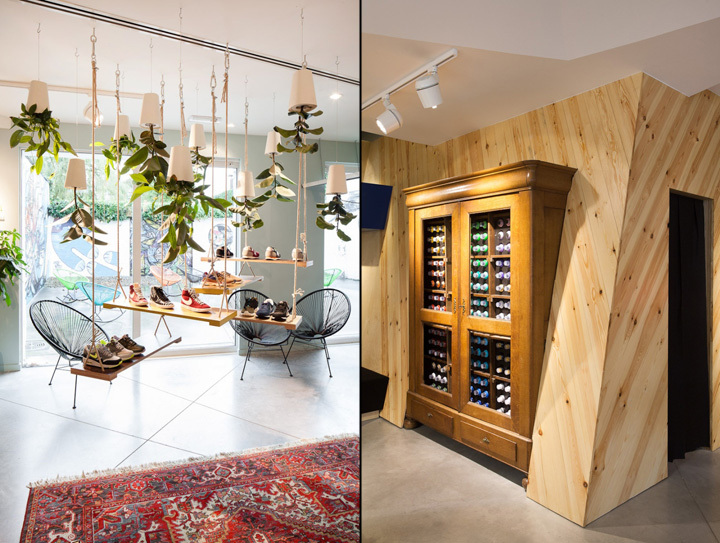 The shoe collections are also displayed on circular stone topped brass tables. Nick Leith-Smith designed two private spaces for discreet selection, featuring beautiful fabric-lined walls. The clever use of natural geometry all adds to the allure of the shoe creations. 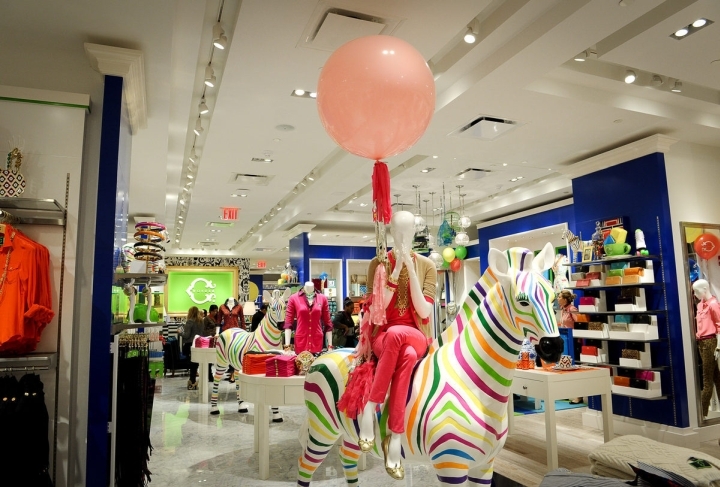 As always, Blahnik's style, humour and playfulness resonate to create a space that reflects the artistry of his shoes.